Mrs. Cesa is one of Lakewood High School’s very helpful English teachers. Thankfully, I was able to ask her some questions I had about the history of her career path. I was curious to see what led her to start teaching here at LHS and the obstacles she had to face. In High School, she always did well and really enjoyed the process of learning. In her senior year of high school she realized that teaching English was what she wanted to do. In 2002, Mrs. Cesa started teaching at Benito Juarez Community Academy in Chicago, Illinois. Later in 2005, she began to teach at Lakewood City Schools district, and began teaching here at the high school in 2012. She attended the University of Dayton to receive her undergraduate degree and later began at the University of Pennsylvania for her master’s degree. Mrs. Cesa’s favorite part of her job is to interact with the students. Although her dream job was to be a Journalist, she is pretty proud to be a teacher here. 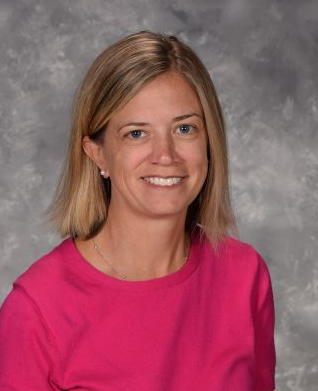 Mrs. Cesa has dedicated approximately 15 years to teaching. Personally, she has really helped me strive to achieve my goals. Each and every day in her class she continues to help my confidence grow. I am excelling in her English II class and have a really good understanding of what we are learning. The reason English is one of my personal favorite subjects is because of amazing teachers like herself. In the future, I am hopeful that her students will experience the same joy that she and her class bring to me.